Home / Articles / How Will Methadone Treatment Stop Me From Using Heroin? Over time, heroin addiction becomes a way of life that takes over a person’s thinking, emotions and behavior. After so many months or years of heroin abuse, attempts at treatment often fail due to the drug’s hold over a person’s mind and body. As far as opiate addiction treatment drugs go, methadone has remained the treatment standard for over 50 years, according to the National Institute on Drug Abuse. Methadone treatment works particularly well in helping heroin addicts overcome the physical and psychological aftereffects of the drug. Long-term opiate abuse essentially eats away at brain cell structures, leaving them unable to produce needed levels of neurotransmitter chemicals. Once a person stops using, widespread neurotransmitter imbalances can persist well into the recovery process. Heroin addiction also warps a person’s psychological make-up in terms of the emotional highs and lows that come with heroin abuse as well as the compulsive behaviors and thinking patterns that support ongoing drug use. Methadone, a synthetic opiate agent produces slow-acting effects compared to the “rush” and subsequent “highs” that come with heroin use, according to the U. S. National Library of Medicine. In effect, methadone tricks the brain by producing effects similar to heroin without producing a “high.” In effect, methadone helps restore brain chemical levels to a normal state. Over the course of methadone treatment, the drug works to wean a person off the addictive effects of heroin. Methadone helps to improve your mood. Residual withdrawal and drug cravings effects can persist for years after a person stops using heroin. These aftereffects become the two biggest obstacles addicts face in recovery. Methadone’s ability to mimic heroin’s effects works to relief uncomfortable withdrawal and cravings effects, which goes a long way towards supporting a person’s efforts to maintain abstinence. 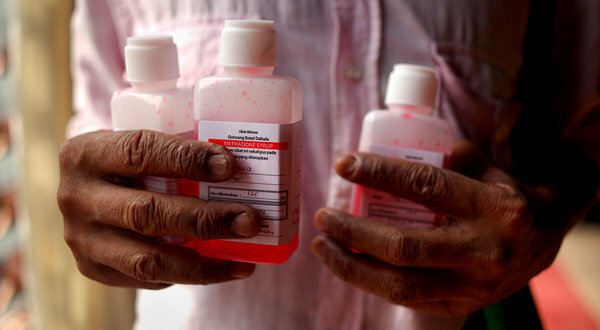 In essence, methadone treatment acts as a replacement therapy, replacing the addictive effects of heroin with the therapeutic effects of methadone. The brain’s neurotransmitter chemicals act as communication messengers that enable the various regions of the brain and central nervous system to regulate the body’s functions. After months or years of heroin abuse, the brain comes to rely on heroin’s effects to regulate bodily functions. In the absence of heroin, the brain’s functional capacity actually worsens. Methadone treatment effects support normal brain function, which in turn allows recovering addicts to feel “normal” again in terms of energy levels, mood and overall health status. As one of the key components of addiction, compulsive drug-using behaviors stem from the body and mind’s dependence on heroin’s “high” effects. According to the Alabama Department of Mental Health, methadone treatment satisfies the brain’s need for heroin without producing a “high.” As a result, a person no longer has to “feed” the brain’s cravings for heroin. These effects provide recovering addicts with a foothold in terms of being able to control and eventually eliminate compulsive drug use. While methadone treatment works wonders at treating the body’s physical dependency on heroin, addiction creates its own mindset and lifestyle. Addiction-based thinking patterns, routines, emotional responses and behaviors will remain intact unless a person receives needed behavioral treatment while in methadone treatment. Over time, behavioral treatment interventions work to develop the type of mindset and lifestyle that supports long-term abstinence.